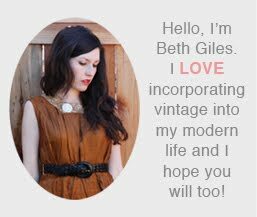 Vintage Clothing Blog | Vintage Wedding Dresses | Salvage Life: What's in a name? So where did the name Salvage Life come from? Well, my husband would tell you that I am an obsessive thrift store shopper and trash digger. I would say "I just see the potential in things." So, the name has two takes. The first is that I "Live the Salvage Life" by attempting to use as many old things as possible to fulfill new purposes. Secondly, I "Salvage the Life" left in an item and allow it to live again. The key to living the Salvage Life is to not see something for what it is, but what it could be. Many of us do this already without realizing it. When you raise a child you don't simply see them for who they are as a baby and accept that they will never walk and talk, you teach them and train them, knowing what they have the potential to become. My challenge to all of you reading this blog is to begin to apply that same mentality to the rest of your lives. For example, I have been using old photographs as tags for the items that I sell. I hope that my customers would then reuse these as bookmarks or decor. If you have any ideas for a third life use of these vintage photos, please post a comment!